Back while I was still living in the UK one of my friends brought us some Berger cookies from her hometown of Baltimore. Like most of the rest of the world, I had never heard of these cookies. 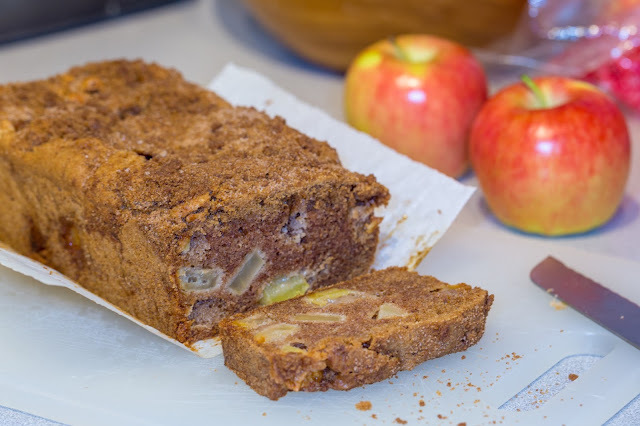 According to wikipedia, they were developed by a baker in Baltimore in the 1850s, adapted from a German recipe. The base is similar to that of the black and white cookie, aka a soft boring sugar cookie. 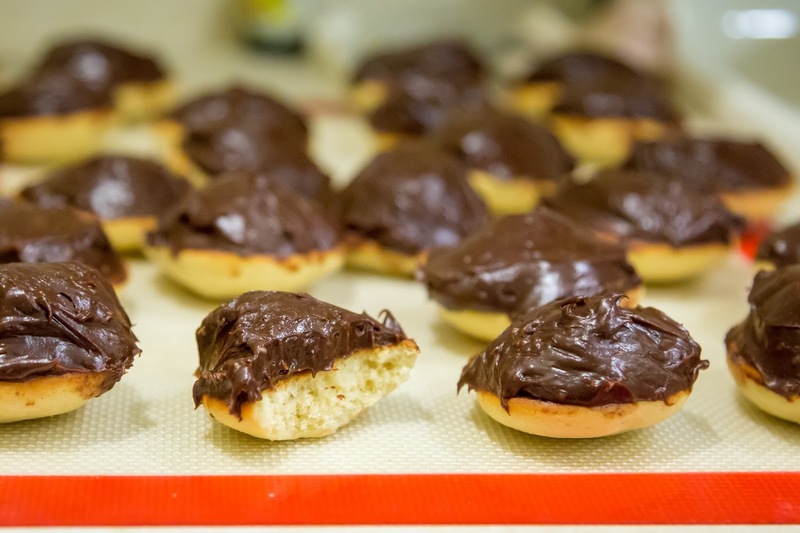 But then that simple white cookie is piled high with a fudge like chocolate frosting and that is what makes this cookie shine. 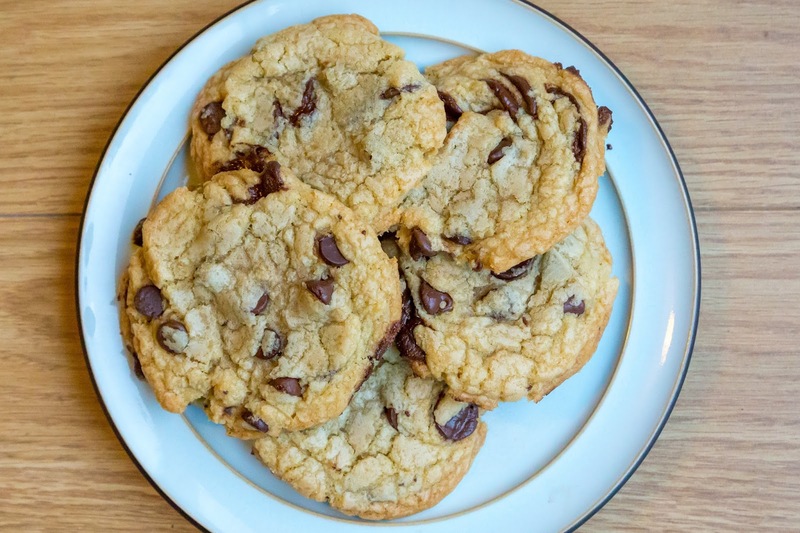 My friend from Baltimore tells me the goal when making them at home should be to have as high a ratio of chocolate to cookie as possible. I usually aim for 1:1, before the chocolate looks about to topple off the cookie base. I think I've finally perfected the chocolate fudge topping, now that a few people from Baltimore have tasted them and said they are better than the original. I shipped some this week to the friend who introduced them to me, and she wrote back that "they taste like friendship and home." 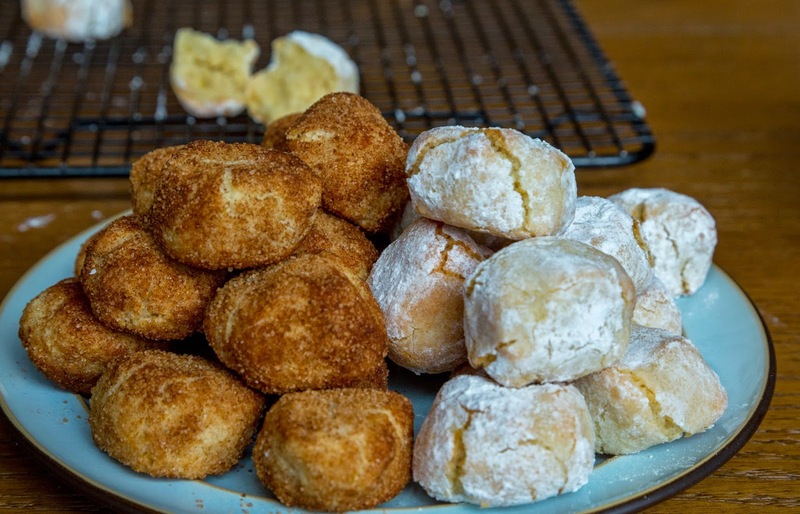 For a blog that is all about comfort food and baking away from home, that seemed like a pretty perfect endorsement (at least for those from Baltimore). Pretty soon into starting my internship this summer, I realized that fitting things into my weekly schedule other than work, food and sleep was almost impossible. As usual, this meant that running/exercise was one of the first things to go out the door so I tried to compensate by keeping myself from buying junk food or dessert at the grocery store. However I developed a bad habit of eating giant spoonfuls of peanut butter dipped into chocolate chips, repeatedly, every night. Until one night I glanced at the side of the peanut butter jar and learned just how many calories are in one small spoonful of peanut butter... 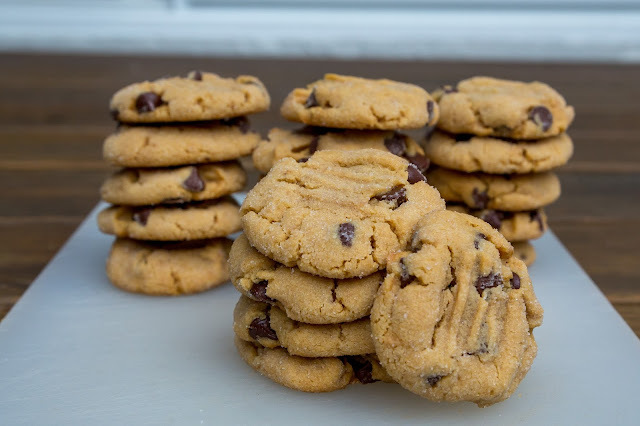 This encouraged me to dredge up the recipe for these cookies so I could get my delicious peanut butter and chocolate craving satiated with a cookie or two, without consuming a 1000 calories each night. 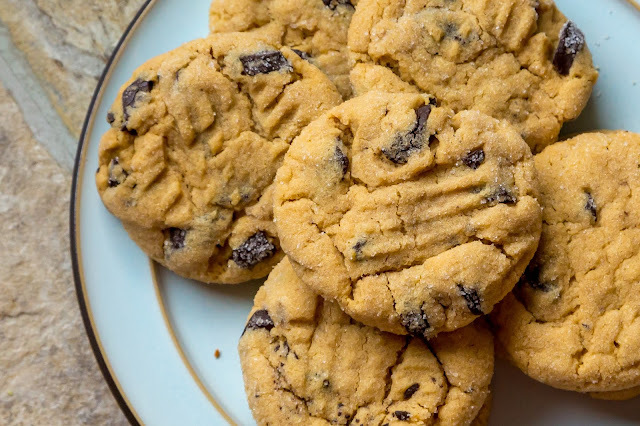 These cookies are soft, super peanut buttery, packed full of chocolatey chunks, and wrapped in a thin crisp coating of sugar. 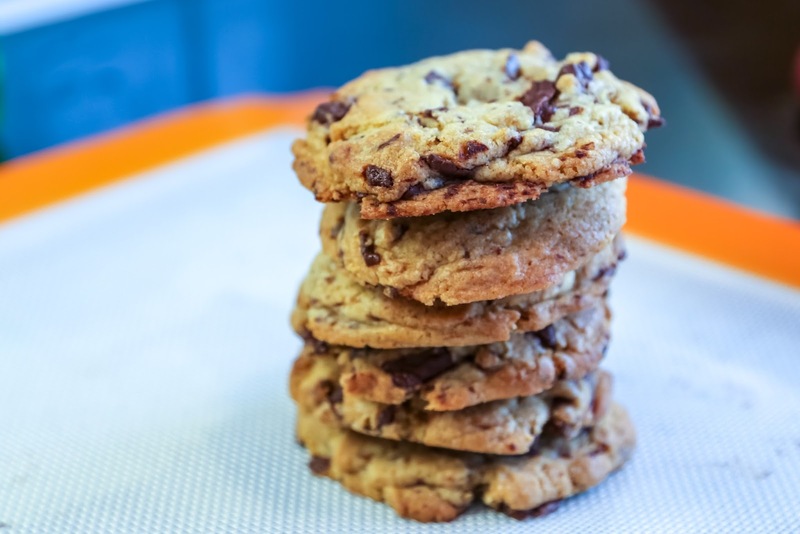 They got rave reviews the first time I brought them to work, but that was also on a crazy day, and half of the comments where things like "this is the first thing I've eaten all day, and this cookie is amazing" (at 5pm). 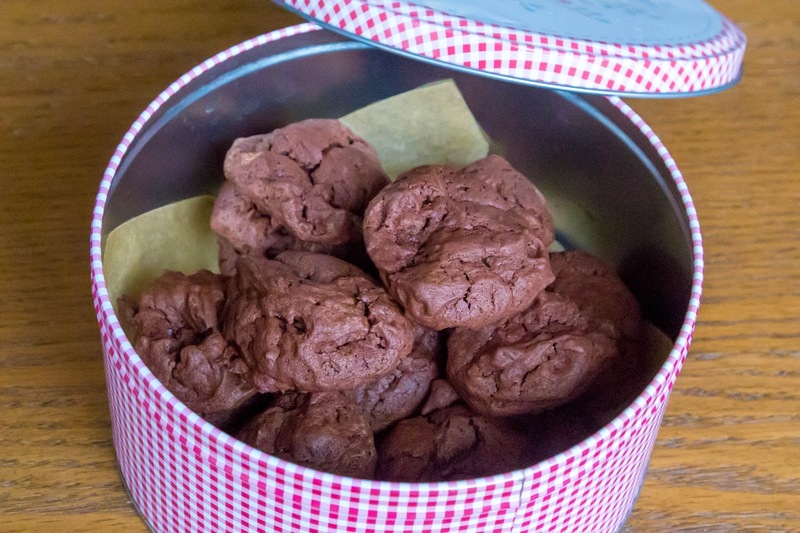 So I brought in another batch on a less hectic day, and they still got rave reviews, and my cookie tin was emptied pretty rapidly. So if you are one of the smart people out there who likes peanut butter and chocolate, then I recommend you go bake some cookies. Add in the egg, milk, vanilla, baking soda, baking powder and salt, and mix well. 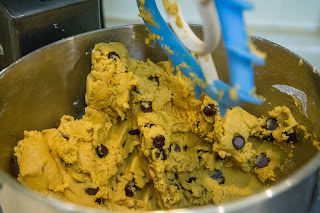 Mix in the flour, just until combined, then mix in the chocolate chips by hand, using a spoon. Pour your 1/4 cup of sugar into a small bowl, if you opt for the sugar coaint. 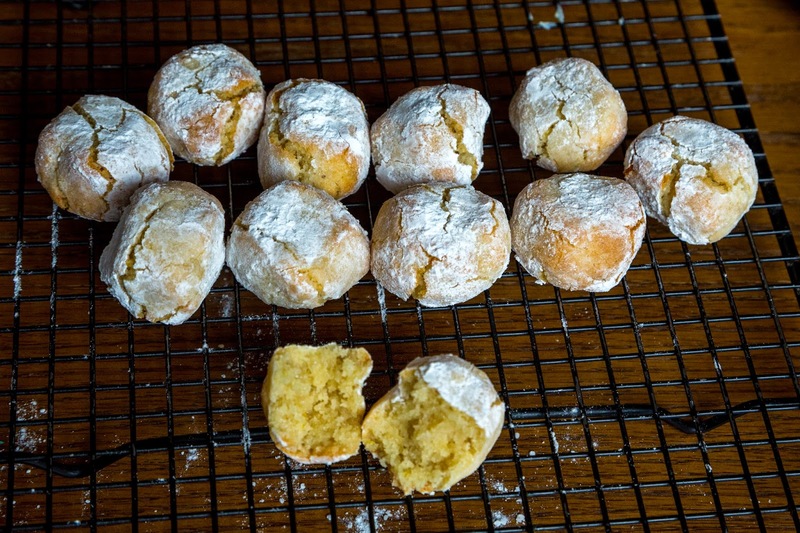 Using your hands form small balls of cookie dough into balls about 1-1.5 inches wide, roll each ball in sugar, then place on a ungreased cookie tray, about 1 inch apart. Use a fork and press down to slightly flatten each ball of dough to get your signature peanut butter cookie mark. 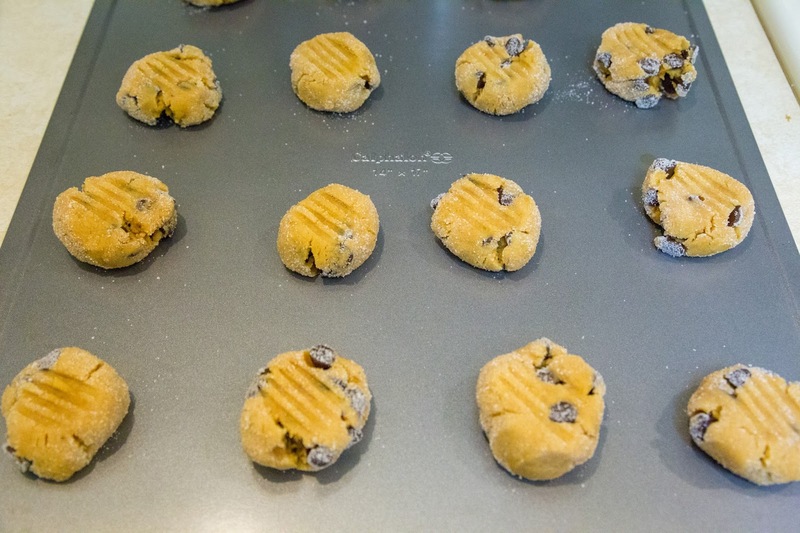 Bake for 10-12 minutes, rotating tray half way during baking time, until the edges look slightly golden. Cool on a wire rack and enjoy within 1-2 days (store in an air-tight container). 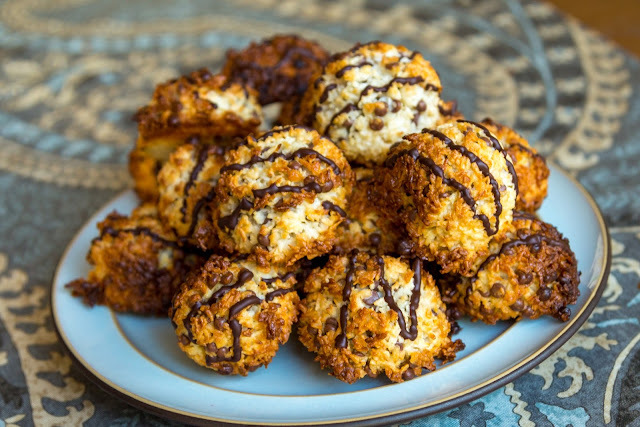 Coconut macaroons where a dessert I grew up eating only at passover, store bought from a can; which is why I always call these the "jewish macaroons," as opposed to the french macaron that is so trendy right now. (Though no one else seems to know what I'm referring to when I say that...). 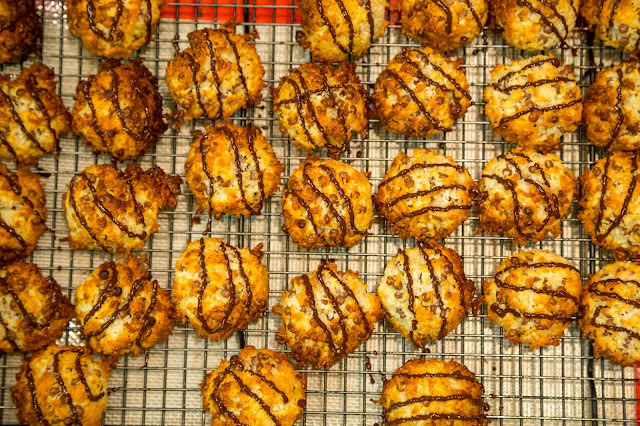 While they were always great, but I never thought to make my own or to eat them the rest of the year, until a friend shared some of her homemade macaroons with me recently. These are even better than the store bought ones of my childhood, the texture and taste comes out a bit like the inside of a mounds bar. These are very chewy, delicious and addictive. 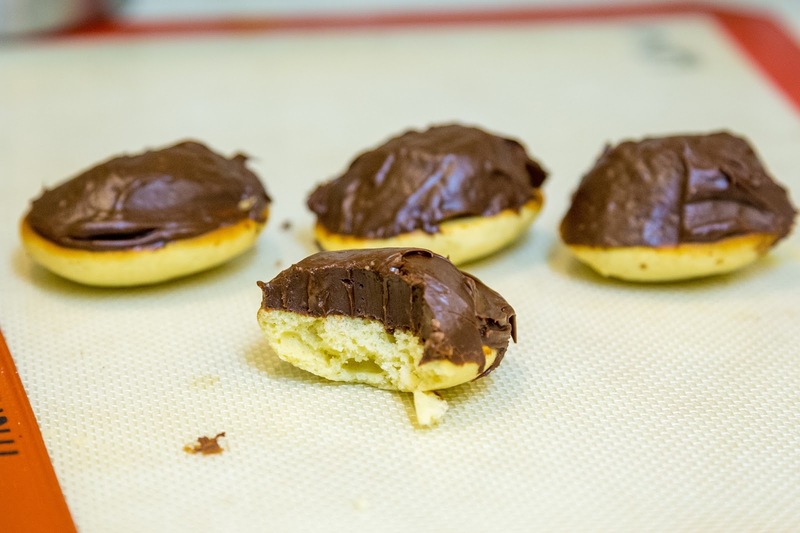 What's more, they only require 5 ingredients (2 of which are chocolate), they are gluten free, and they freeze well! 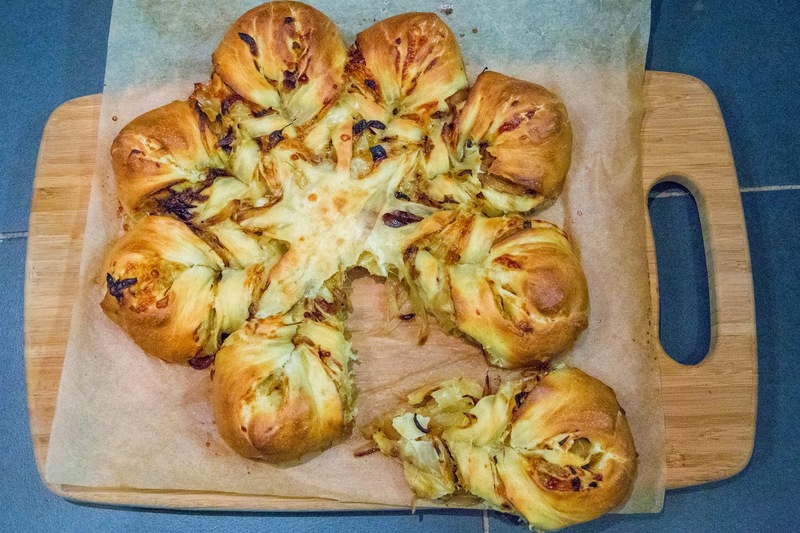 Passover is just around the corner, so I thought I would share a pesach-friendly recipe to get everyone excited. The holiday often is often known for having mediocre desserts, as people try to adapt their favorite every day recipe to not include leaveners, replacing flour with matzah meal etc. But personally, I prefer to instead choose recipes that are meant to not rise or have flour in them to begin with. There are a lot of delicious recipes out there that I make all year, that just so happen to be kosher for passover. I just realized last year that this cookie recipe is one of those... And it is also gluten free! 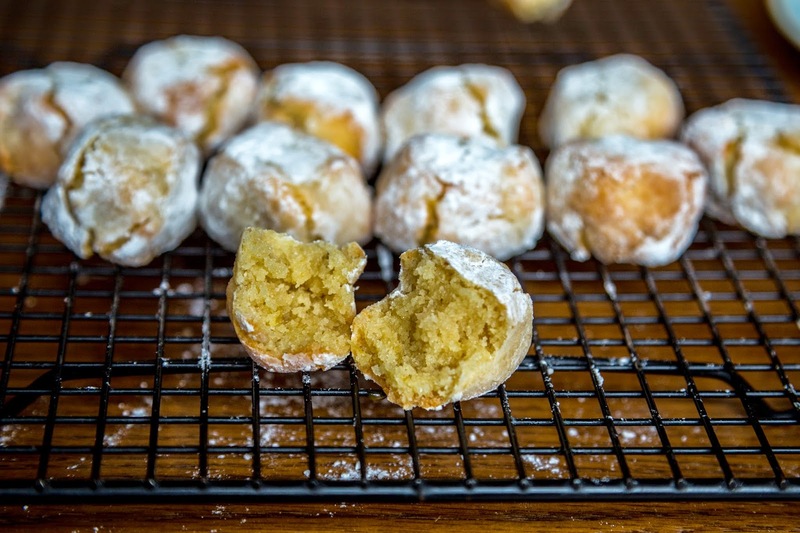 So this is a great recipe to have in your book, and its fast to whip up. 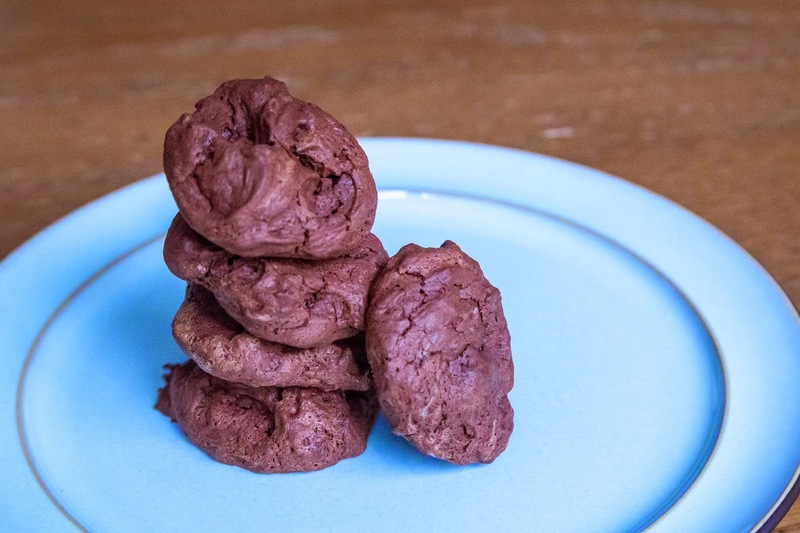 These melting chocolate cookies are made from meringue, so they are light as air when you pick them up, and melt in your mouth, filling it with a rich chocolatey taste. 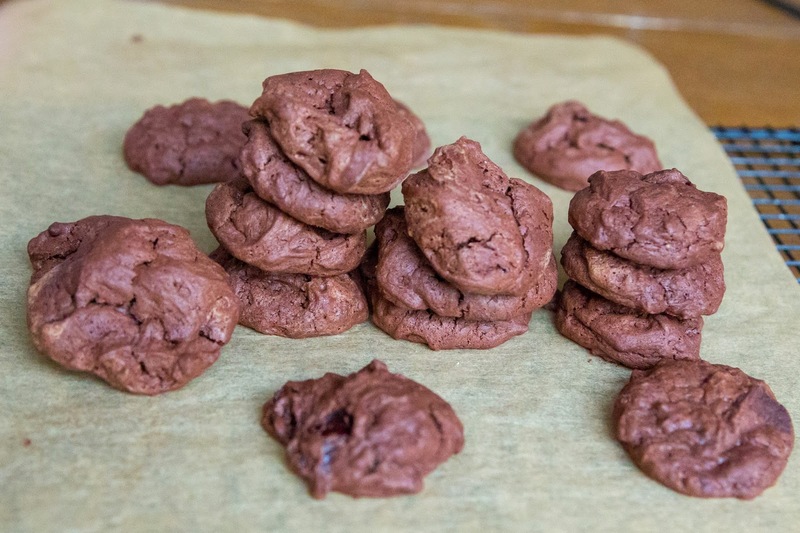 Even though they are light, and small, they are full of flavor and decadent, so just one or two little cookies will fill your your chocolate cravings. These are delicious all year round!